Following UFC 225, UFC President Dana White, gave some very good news for MMA and Brock Lesnar fans as he said that Lesnar is interested in coming back to the MMA. White said that Lesnar is 'very interested' in fighting Jon Jones in an MMA ring, and Jones also feels the same way, in an interview with TMZ Sports. Lesnar first fought in the UFC in 2008 and was part of the company for three years and won the UFC Heavyweight Championship after defeating Randy Couture. He lost the belt after he was defeated by Cain Velasquez in October 2010. He retired from MMA in 2015, only to return to the UFC a year later at UFC 200, against Mark Hunt. whom he defeated in his return to UFC, in three rounds. Lesnar was then suspended by USADA after he was tested positive for a banned substance. Meanwhile, his potential opponent, Jon Jones, has also been suspended by USADA for the use of a banned substance. 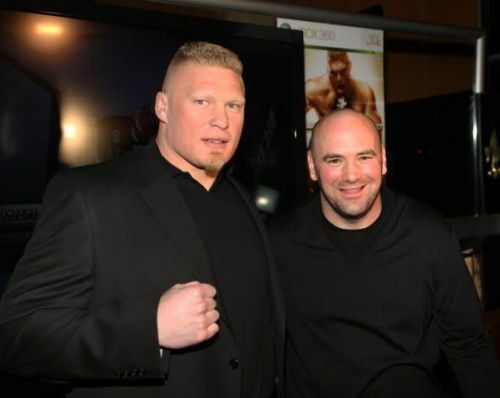 White said that there are several fighters who could face Lesnar in the UFC. The UFC President said that Lesnar's WWE deal is up at the end of the summer and that he could switch to the UFC after that. Both Jones and Lesnar have to re-enter the USADA six-month drug-testing pool before the match can be approved. Brock Lesnar has not been on WWE TV since his match against Roman Reigns at the Greatest Royal Rumble pay-per-view, on April 27, 2018. It is uncertain when the Universal Champion will return to action.